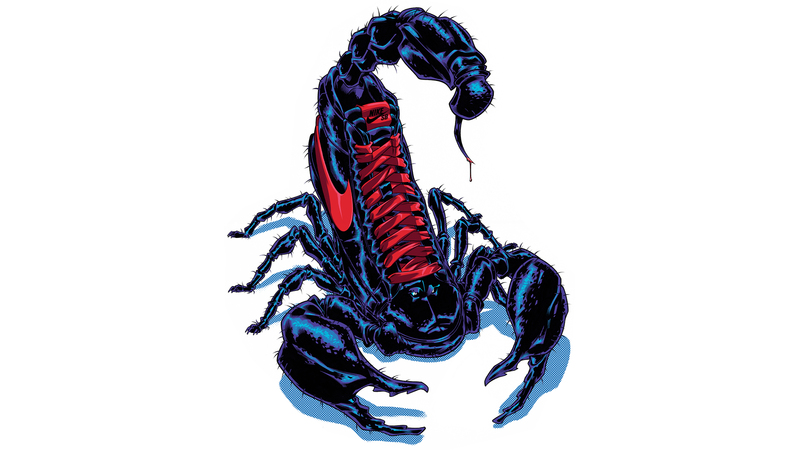 Nike’s long-running T-shirt collaboration with Foot Locker has seen great success over the years. 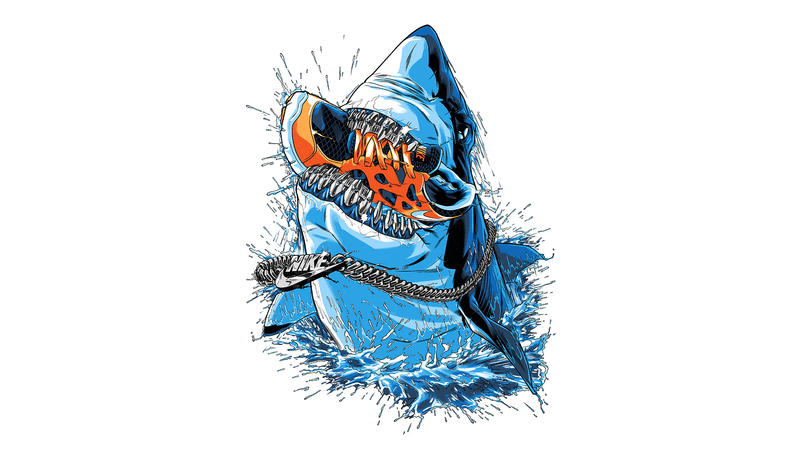 They have a keen eye for artists that can deliver exciting and fun graphics that really pop off the racks, so naturally they got in touch with us! Take 2 of Nike’s best-sellers, the Nike Free Run 2 and the Nike Blazer, and design an eye-catching graphic full of character and kinetic energy. 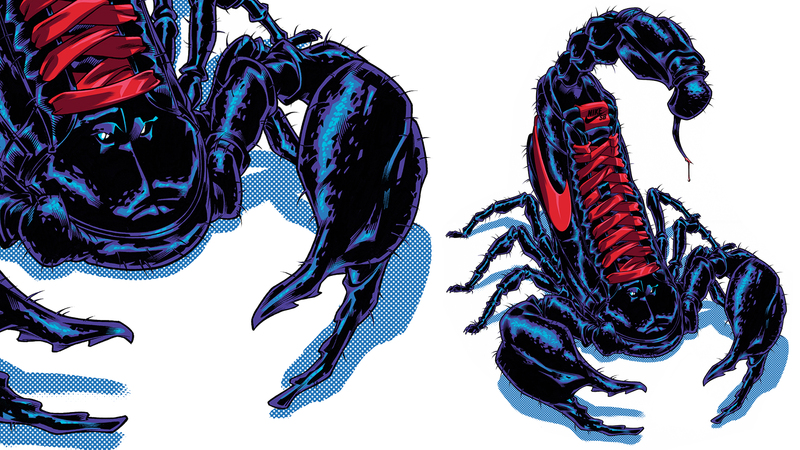 To do this we took our cues from nature but added a funny twist; from blinged out shark’s teeth in 'Biters Beware', to a complete arachnid/sneaker mash-up in 'Scorpion Fresh'. 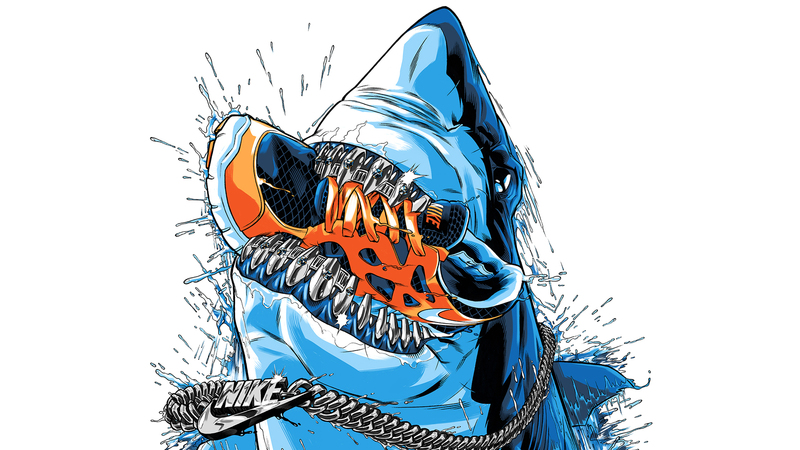 2 fresh T-shirt designs the Foot Locker faithful couldn’t get enough of.